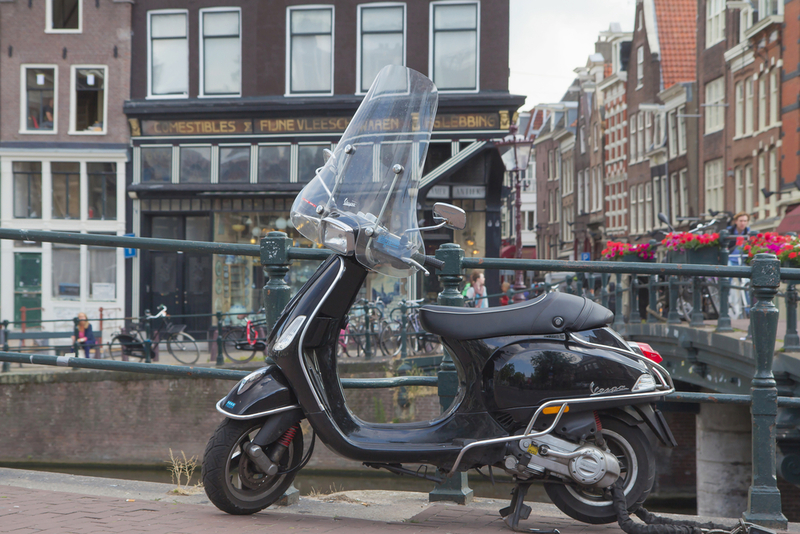 Mopeds may be banned from Amsterdam’s bike lanes earlier than expected now the government has decided the new legislation allowing local councils to implement a ban will come into effect next month. Currently mopeds which travel at up to 25 kph are allowed to use bike paths and their drivers do not have to wear helmets. But up to 80% of mopeds are thought to be capable of higher speeds, and growing congestion on the bike paths is forcing the city to take action. The introduction of the ban was originally slated for summer 2019, but the Council of State has approved the legislation earlier than expected, paving the way for a speedier introduction of the new law, the Parool reported on Thursday. Officials say it will take about six months to ready the city’s bike infrastructure for the ban and to pass the necessary local legislation. In addition, everyone in the Dutch capital will be able to have input into the local law, and objectors can appeal against the final decision.